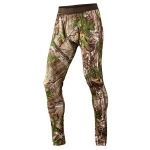 Material: 65% Polyamide/27% Polyester/ 8% Elastane, Seamless Underwear Wicking Technologies: Quick dry Features: Moisture wicking base-layer 4-way stretch fabrication, provides athletic mobilty next-to-skin comfort, .. 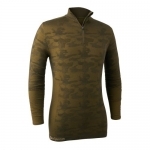 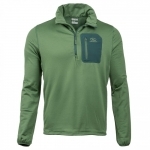 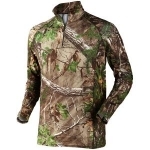 Non Returnable item for hygiene please Sizes: M/L - XL/2XL OutshellComp: 59% Polyester / 31% Polyamide / 10% Elastane Forest Night ..
Seeland Lizard High Neck is an extremely warm base layer made in Realtree® Xtra Green camo. 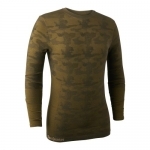 This thermal layer is made from 92 % Polyester / 8% Elastane jersey with brushed backside using the very latest technology, providing stretch and comfort ..
Seeland Lizard longjohns are an extremely warm base layer made in Realtree® Xtra Green camouflage. 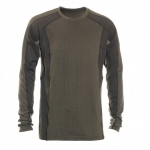 This men's thermal layer is made from 92 % Polyester / 8% Elastane jersey with brushed backside using the very latest technology providing str..
Sizes: S - 3XL Col: Fallen leaf Outshell-Comp: 95% Polyester / 5% Spandex Machine Washable *Please note this item is non returnable ..
Sizes: S-3XL Col: Fallen leaf Outshell-Comp: 95% Polyester / 5% Spandex Machine washable *Please note this item is non returnable .. 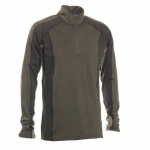 Size: S - 3XL Outshell-Comp: 95% Polyester / 5% Spandex Fallen leaf Machine Washable This item is non refundable ..
Outshell-Comp: 59%Polyester / 31% Polyamide / 10% Elastane Forest Night ..
Outshell-Comp: 56% Polyamide / 40% Merino Wool / 4% Elastane Extra: OEKO-TEX ..
OutshellComp@ 56% Polyamide / 40% Merino / 4% Elastane Extra: OEKO-TEX .. 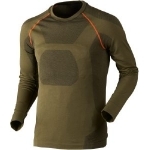 Non Reurnable for hygiene reasons Outshell-Comp: 56% Polyamide / 40% Merino Wool / 4% Elastane Extra: OKEO-TEX ..